If you have broken the LCD and can see black ink on the display or maybe you have shattered the touch screen / digitiser layer as well, you will need to have the whole iPAQ screen unit replaced. This in-house service includes full fitting and return shipping in the UK, these are brand new factory supplied screen units (Part Number ACX538AKM-7). 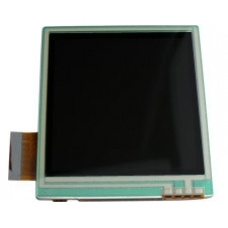 Complete drop in replacement screen for the hw6500 range of handheld units, this replacement screen part is a full LCM a..